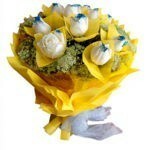 White roses symbolizes purity, innocence and a new beginning. 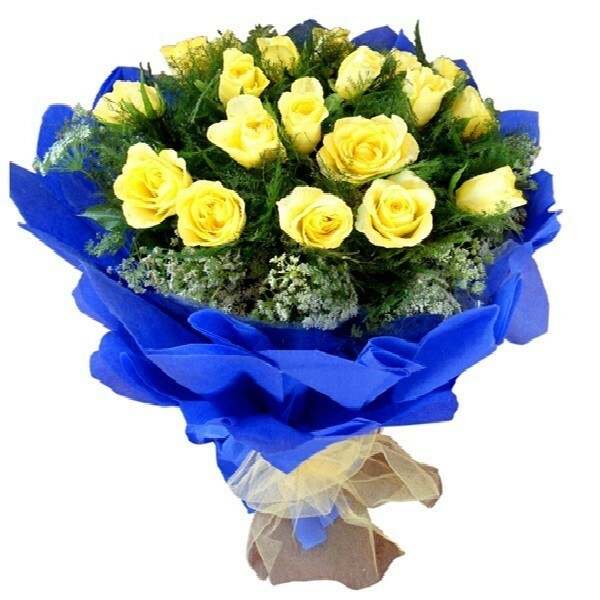 So Send this bunch of 10 White roses with blue glitter Sprinkled over them with fillers in a yellow paper packing with white net. 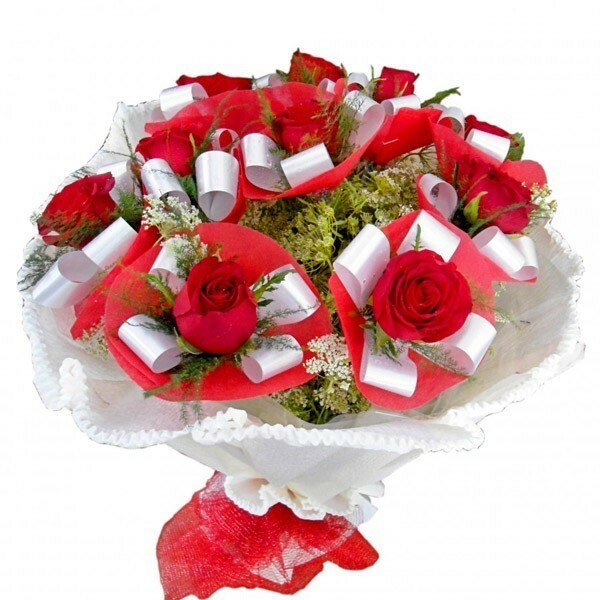 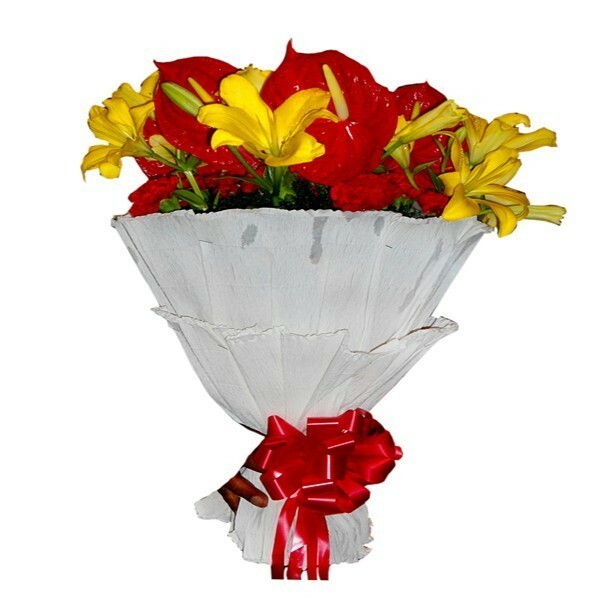 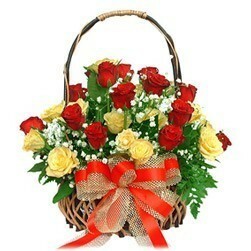 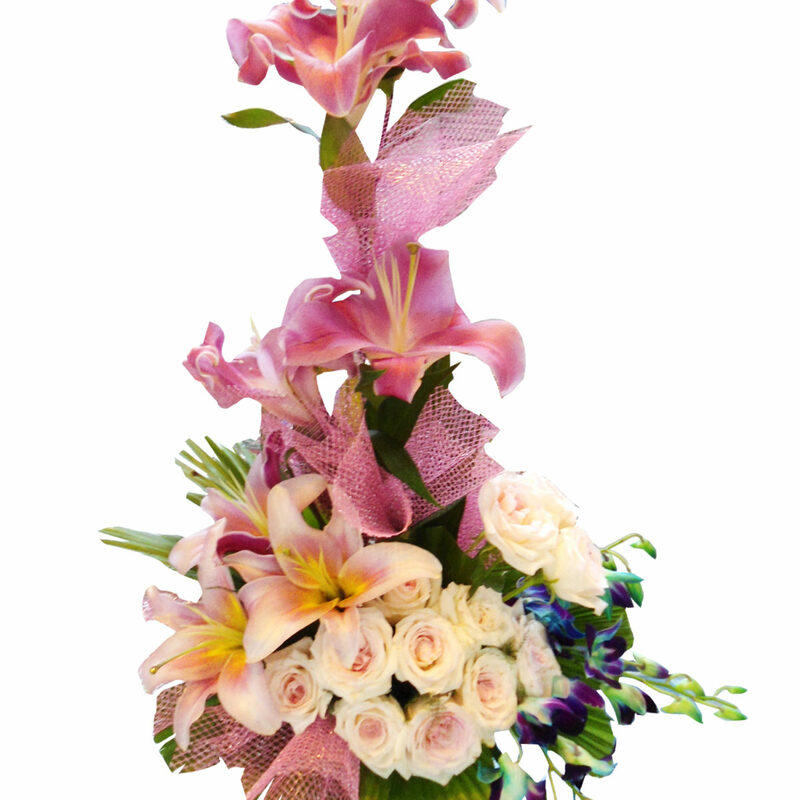 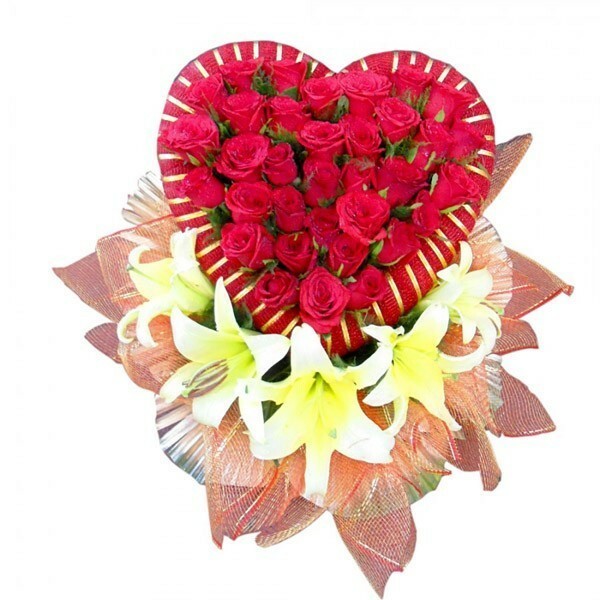 Send it through Dp Saini Florist and wish your loved ones.